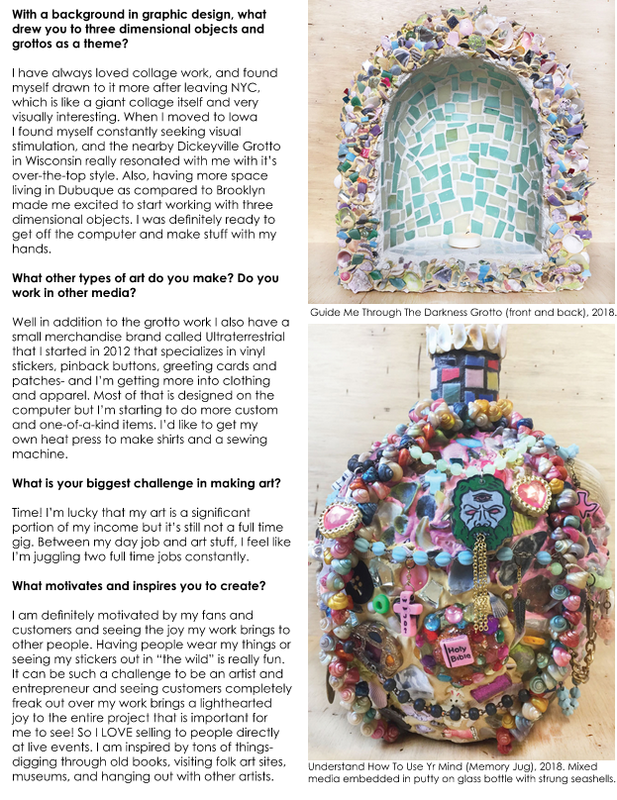 I took part in this interview right before my decision to move to Milwaukee, but I guess I can technically be considered an Iowa artist for another month or so... Anyway, here's a little short interview with me about my work. In addition to the "fine art" work mostly discussed in the article, you can check out my shop Ultraterrestrial HERE! Also- read an internet version of Mag Pie mag by clicking HERE!